The hitherto obscure subject of pensions tax relief is likely to be in the foreground when George Osborne reveals the content of his latest Budget later this month. On the table is a potential move to flat-rate tax relief, an approach favoured by the TUC. But, if given the nod, key decisions about implementation would determine whether it meets its potential to better assist low and middle income workers save for retirement. This blog post sets out seven tests the TUC will be applying to judge whether any change is in savers’ interests. For a Chancellor squeezed between a lacklustre economic recovery and self-imposed pledges not to change the main personal tax rates, fiddling with ill-understood pensions taxes has a glittering allure. But set against this is a longstanding attempt by government, in partnership with employers and workers, to improve retirement savings in the UK mainly through automatic enrolment into workplace pension schemes. This project is still in its infancy and could be damaged if the government reduces its support for pensions. Currently, pensions tax relief is based on the principle of contributions being exempt from tax, investment returns being exempt from tax, and withdrawals from pension being taxed. One option being considered is a so-called Pensions ISA, which would turn this on its head by taxing contributions but leaving proceeds tax-free. This has the attraction – to the Treasury at least – of potentially bolstering Whitehall coffers in the short term. But in terms of supporting pensions saving, it would be a “big mistake” according to the current Pensions Minister, and mean “poorer pensions for millions of people”, says her predecessor. There may have to be a prolonged transition period, perhaps lasting 50 years, during which people would enter retirement with a mixture of savings that had been taxed upfront and those that had not. Alternatively there would have to be a complicated and expensive process of converting existing savings to the new system. Savers would have to trust that money taxed going into pensions savings would not be taxed again on the way out. It seems likely that the removal of up-front tax relief would be seen as a cut. Indeed, by effectively removing the potential benefit of the tax-free pension commencement lump sum, it is exactly that. The lack of a tax charge in retirement removes the impetus to spread income across retirement in order to minimise potential tax bills. This could lead to some people running out of money in later retirement. An alternative option that is also being considered is moving towards flat-rate tax relief. Currently, savers receive tax relief at their marginal rate. The result is that higher earners receive the bulk of relief. Currently basic rate tax payers make up 53 per cent of total employee contributions while only receiving 29 per cent of tax relief. Those earning over £50,000 are 10 per cent of income tax payers but receive 47 per cent of tax relief. 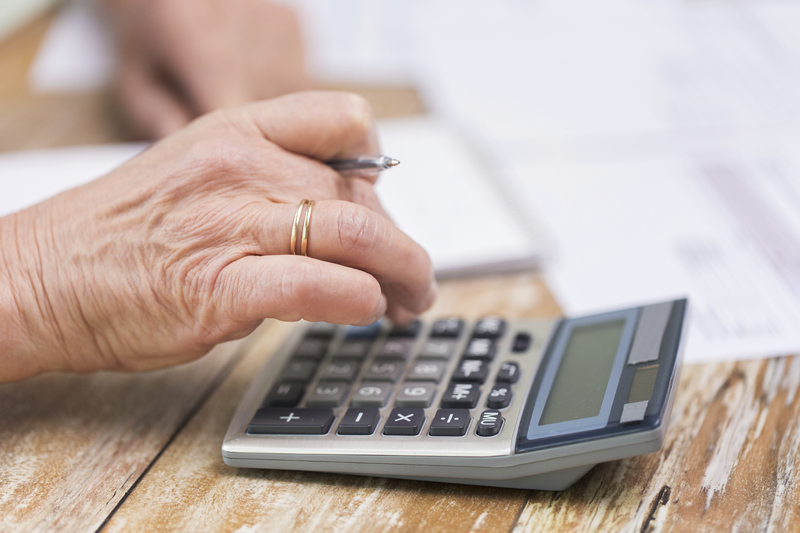 Although some will continue to pay higher-rate tax in retirement, many will benefit by dropping down into the basic-rate tax bracket while many others will get very substantial tax-free lump sums in retirement. A flat-rate approach, if implemented well, could better assist low and middle earners in building their pensions savings by providing them with a great proportion of the £35 billion each year allocated to pensions tax relief. Such improvements are valuable at a time when there is a need to boost overall contribution levels to workplace pensions. A flat-rate approach has long been promoted by the TUC as a more progressive system of pension tax relief and has support from figures in the Conservative, Labour and Liberal Democrat parties. But there is a risk that, implemented badly, that flat-rate tax could undermine pensions saving, particularly if reform is merely intended to reduce government spending. Reform should maintain existing levels of state support for pensions saving. If long-term saving is to be successful, it has to be a partnership between workers, employees and the state. Cutting the amount of tax relief available for pensions would make it harder for savers to put enough aside to give them a good chance of a decent standard of living in retirement. An overall neutral reform would result in a rate of tax relief of between 30 and 33 per cent. This would be sufficiently generous to ensure that higher-rate taxpayers benefit from continued pension saving in workplace schemes. Simple for individuals. Currently basic-rate taxpayers and non-taxpayers, and many higher-rate taxpayers, do little in order to receive tax relief on their pension contributions. It is important that this doesn’t change. Easy to understand. Moving to a single rate of tax relief, especially if presented as a matched contribution may, depending on the rate used, encourage higher levels of participation in workplace pension saving, and reduce opting-out. Fair treatment of employer contributions. Currently employer contributions are paid without being subject to income tax. There are a number of options about how they should be treated under a flat-rate system. The TUC believes it is important that the approach used doesn’t result in some savers being pushed into higher tax brackets because employer contributions are added to their wages for tax purposes. Responsibility for settling tax relief should be dealt with at scheme level. Support for non-taxpayers. Currently, some workers who do not earn enough to pay income tax receive tax relief on pensions while others do not. Their arrangement depends on whether the scheme operates a net-pay or relief at source system. To provide fairness, all savers should receive tax relief. Retain tax-free cash. If there is one thing that many savers understand about pensions tax, it is that most forms of pension will allow them to take a tax-free pension commencement lump sum. Its abolition would risk deterring many savers from putting money away for the long-term. The payment of tax-free cash t often fits with people’s lifestyles by allowing them to do things like pay down debt as they enter retirement. It should not undermine defined benefit DB pension saving. In particular, there should be fair treatment of deficit reduction payments in funded pension schemes so that current contributors do not face tax penalties due to payments to meet historic liabilities. An individual’s benefit accrual in a scheme can be volatile, for instance if they receive a promotion while a member of a final salary scheme. Therefore tax relief should be settled at scheme level to avoid unwarranted impact on an individual’s take-home pay. It is also important that adequate time and support as given to facilitate necessary changes to payroll systems.